The construction project need concrete, so the equipment to producing concrete is needed. With so many years’ development, there are all kinds of concrete batching plants in the market, such as stationary type and mobile type. Many friends may confused about how to choose the suitable type for their projects. Especially about the portable concrete batch plant which is smaller. With the same mixing capacity, which one is better? The stationary type or mobile type? Here, we have some tips to help these people. The concrete mixing plant can choose the size according to the purpose. The scale of the general engineering mixing plant is smaller than that of the commodity plant. The concrete produced by the engineering station is only used for its own project and not for sale, so the capacity meet the daily average demand is enough, HZS25, HZS35, HZS50 concrete batching plants are suitable, if the project is larger, you can choose HZS60, HZS75 or HZS90 concrete batching plant. 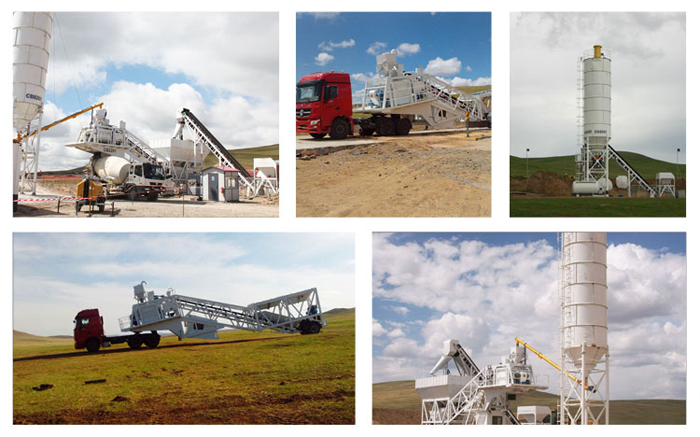 If the engineering plant need to be relocated often, so try to choose small portable concrete batch plant for easy relocation and cost-effective. Commodity station production of concrete mainly for external sales, so the daily average demand is still relatively large, so choose a larger production of HZS120, HZS180 concrete batching plant, as well as 2HZS120 and 2HZS180 concrete batching plant, Haomei Machinery supply these kinds of concrete mixing plants which have higher degree of automation to minimize the impact of human factors on the quality of finished concrete, our products are welcomed by the market.